Treasurer Jackie Trad delivers the Queensland Budget which has forecast jobs growth to slow from the current 10-year high of 2.75 per cent to 1.5 per cent. QUEENSLAND'S jobs boom is over and employment growth will fall significantly over the next year. Unemployment will remain at or above 6 per cent until 2021-22. The Government said the reasons were that the big job generators in Queensland have been the housing construction sector and mining and resource developments. Both are expected to slow or be subdued over the next year. The Budget has forecast jobs growth to slow from the current 10-year high of 2.75 per cent to 1.5 per cent. This equates to an estimated drop from 66,000 jobs to about 37,000. But the Government describes that weaker growth as a more sustainable level after "exceptionally strong gains'' in the current financial year. 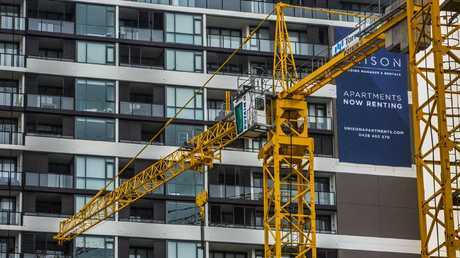 The apartment glut that has hit Brisbane's inner city will lead to a downturn in construction and that will flow on to lower spending on household goods and furnishings. The glut is not expected to be absorbed by the market until 2019-2020. Queensland Treasurer Jackie Trad said the slowdown in apartments meant that Government had brought forward borrowings to pay for extra infrastructure that will support jobs. She said key regional areas like Mackay and Townsville had seen significant falls in unemployment but problems remain in the Outback. She said a strong tourism sector was helping some regions. The aggregate unemployment rate in regional Queensland is 7.2 per cent for the year to April and in southeast Queensland it was 5.7 per cent. 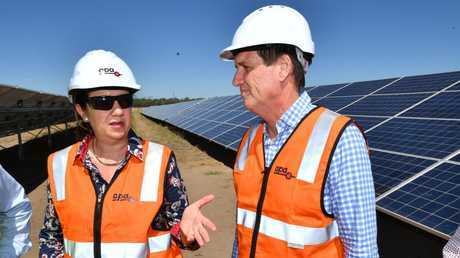 The Government forecasts a significant boost to the engineering sector from investment in the renewable energy industry because of a $4.2 billion pipeline of projects. "However, with few major resource projects currently committed or under construction, growth in heavy industry investment is likely to be subdued in the medium term,'' the Budget papers said. The Budget has allocated $770 million for vocational education and training. The Back to Work regional program gets an extra $155 million and another $20.5 million will be allocated to the southeast Queensland program. Queensland wage growth has been forecast to be 2.5 per cent over the next year rising to 3 per cent in 2019-20. Household saving in Queensland is also at its lowest since 2003-04 and Treasury anticipates that any pay rise will go towards paying down debts rather than consumption.